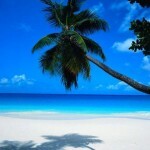 Cheap last minute flights to Cancun in Mexico from Germany from €268! Air France cheap flights from Germany to Taipei, Taiwan from €363! If you are looking for some easy going holidays in Caribbean sea just to recharge your batteries here is nice deal for you. You have to be really flexible as the currently cheapest fare available is for flights departing already in next few days from Cologne. Air tickets from Germany to Mexico (Cancun) are available from just €268 for a roundtrip flight including all fees and checked bag. Another solution would be to depart from Berlin or Leipzig. In such case return flights to Cancun are available for €308. At this moment you will find the cheapest flights from Germany to Cancun in October 2018. As this deal is an attractive solution not just for travellers in Germany we recommend to check your connection possibilities through service of Skyscanner. This tool gives you quickly an idea which low cost airlines are available from your home city. Need some affordalbe accommodation in Cancun you can use service of Booking.com or use this 10% Hotels.com promo code. Cancun in Mexico will surely fulfill your dream of dream exotic holidays in Caribbean with its turquoise water and splendit beaches. Cancun is of course offering more than just amazing sand beaches in Carribean. For instance you may visit Puerto Morelos which is a friendly, laid-back fishing village located only 35km from Cancun. The tranquil atmosphere attracts people from all over the world, many of whom have chosen to make it their home. You will be seduced but its natural beauty and charm which transport you away from the glitz and glamour of Cancun. The coast surrounding Puerto Morelos is part of the National Marine Park making it ideal for scuba diving and snorkeling. Booking sample of cheap flights from Germany to Cancun, exotic caribbean beachside in Mexico for €268 below. In this case you would be departing from Cologne to Cancun on 23rd of October and returning back from Caribbean to Europe on 4th of November 2018.